Dada Awoleye leaves APC . Four APC members in the House of Representatives on Tuesday annouced their defection to other political parties. The ranks of the ruling All Progressives Congress, APC is getting depleted by the day as the party has been hit with yet another round of defections. Four APC members in the House of Representatives on Tuesday announced their defection to other political parties. 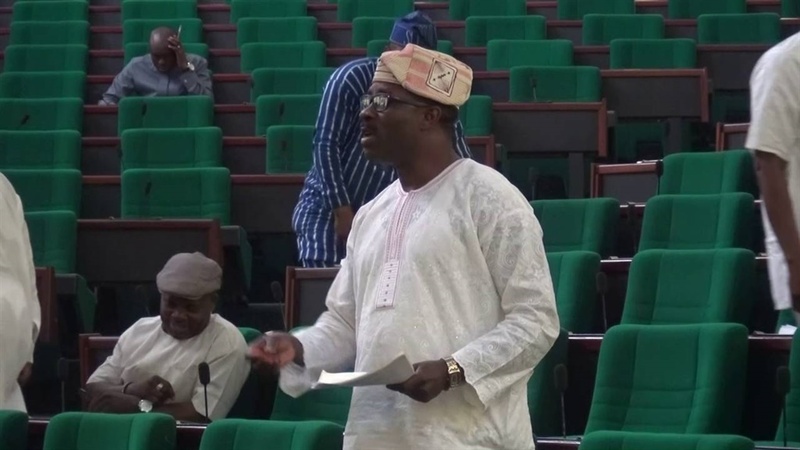 The lawmakers, Dada Awoleye (Oyo), Segun Williams (Ogun), Lawali Hassan and Adedapo Lam-Adesina (Oyo), all announced their new parties on Tuesday. While Mr Awoleye defected to the Accord party, Messrs Williams, Hassan and Lam-Adesina defected to Labour Party (LP), People’s Democratic Party (PDP) and Action Democratic Congress (ADC), respectively. More members of the ruling party have defected in the last one month and there are indications that many more will still jump the ship. Some members of the opposition Peoples Democratic Party have also defected within the period as the build-up to the 2019 General Elections continue to throw up more dramas.